Inishowen and Donegal played out a draw in Saturday’s FAI U13 Inter-League Gaynor Cup qualifier. In a very tight first half Grace Murphy was unlucky not to put Donegal one ahead after a good ball from Roisin Lynch, Grace’s shot just wide. Clodagh Heron delivered a good cross into the box but neither Ella McHugh nor Rachel Friel could get it under control. 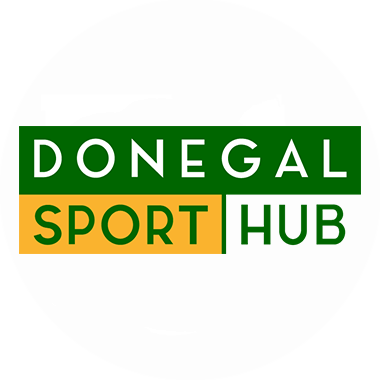 Donegal pressured Inishowen but couldn’t get the breakthrough. Ten minutes into the second half, after sustaining some pressure from Inishowen, Meghan McLoughlin’s long clearance, found Orlaith Doherty, who ran through to score. Inishowen pinned Donegal back in the defensive zone in second half with solid defending shown by the girls. Eva Blaney made a good run forward and linked up well with Orlaith Doherty, who was through only for the Inishowen ‘keeper to pick ball up outside the box. Meghan McLoughlin’s free kick just sailed over the bar. With a minute to go, Cache Crumlish passed to Heidi Gill who slotted home from 8 yards to earn Inishowen a share of the spoils. Inishowen Ladies League: Leah Deehan, Jenna Gallagher, Keisha Friel, Orla Doherty, Heidi Gill, Jodie Loughrey, Bronagh Butler, Bria McGilloway, Ciara McGee, Olivia Doherty, Aofie McCarron. Subs: Orla Grant, Cache Crumlish, Rachel McLaughlin, Zoe McLaughlin, Megan McLaughlin, Rosa Davies, Kayla Duffy. Donegal Women’s League: Leah McLaughlin (Claire Diver 40), Meabh McAteer (Mia Devenney 45), Meghan McLoughlin, Darcy Kelly, Grace Nugent, Clodagh Heron (Sheila Ferry 30mins), Rachel Friel (Leanne McGettigan 45), Eva Blaney, Roisin Lynch (Sarah McGinley 25), Ella McHugh (Orlaith Doherty 30), Grace Murphy (Katherine Hopkins 45).